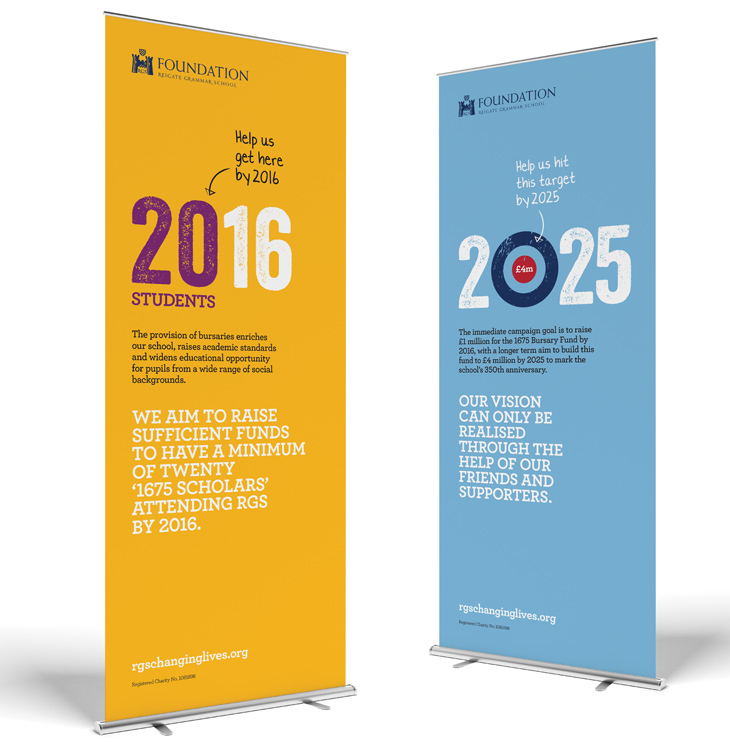 The Foundation Office at Reigate Grammar School asked us to work alongside them to create a campaign aimed at raising sufficient funds to increase the number of bursaries on offer at the school. The Changing Lives campaign will provide opportunities, through open access, to talented local children whose potential is far greater than their financial means – a philosophy firmly in keeping with the school's heritage. RGS was founded in 1675 as a ‘free school’ by Alderman Henry Smith, for the relief of the poor in the area. H&B have created and delivered a design solution that will work hard in helping us achieve our targets. Their strategic approach, coupled with their ‘go the extra mile’ attitude, has resulted in a successful campaign launch and we look forward to working alongside them as our campaign moves forward. 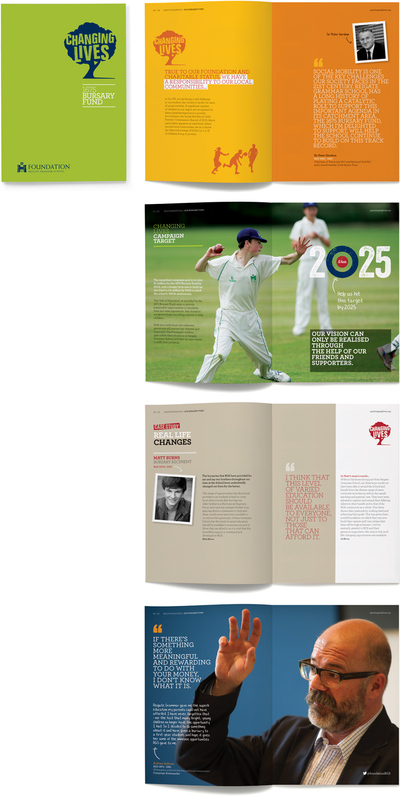 One of the most important factors was to give the campaign a personality all of its own, whilst still being sympathetic to existing school communications. We created an overall visual style, tone of voice and key messaging for the campaign, and a flexible brand identity that will work in a wide range of colourways and graphic holding devices to best reflect each application as the campaign moves forward. The initial campaign goal of raising £1 million by 2016 to allow for twenty ‘1675 Scholars’ to attend RGS was achieved a year early. Winner ‘Fundraising Campaign of the Year’ in the IDPE Development Awards 2017. Fully responsive Wordpress site providing campaign information and fundraising totaliser, updates, real life-changing case studies and donation facilities.